The closest village to the coast is Beniarbeig, a rich and prosperous agricultural village, mainly growing citrus fruits and is one of the largest villages in the area with some 1200 inhabitants. It is located next to the Girona River and the foot of the mountain range Sierra Segaria. The typical village atmosphere of church bells and tapas bars is reflected in Beniarbeig yet it is just 5 km from the nearest beaches and a 10 minute drive to the Golf Courses of Oliva Nova and La Sella. Continuing a further 2 miles through the Orange Groves, following the horse shoe contours of the valley with the Sierra Segaria to the north you enter the villages ofSanet y Negralswhich over the years have become one. The town square is surrounded by impressive pine trees and offers uninterrupted views across the fertile plains of the valley towards Orba. Sanet yNegrals is a small farming village and its position in the Girona River valley ensures fertile soils and irrigated-land crops, especially oranges, are produced. 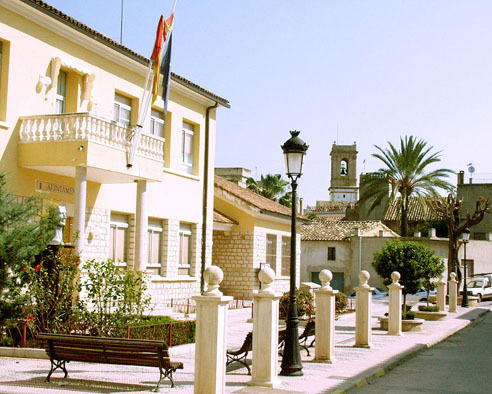 Sanet y Negrals is a peaceful village with several grand buildings including the Palacete de la Señoría, which is located on the road that runs through the village. With a blink of the eye Sanet is behind you as you enter Benimeli, asmall andvirtually unknown villagewith many charming traditional brightly coloured village houses with vast double entrance doors originally designed to allow horse and cart passage through the house to their stabling in the interior patio of the residence.Benimeli is the village located closest to the sierra and the nearest to the summit - 506 metres– and thus offers some of the better routes to reach its summit. where it is extremely interesting to walk along the steep white streets that ascend up to the sierra. Benimeli is the ideal location for those who wish to experience an authentic taste of a typical Spanish village, with a bar-restaurant two grocery stores, a bakery, butcher, chemist, small Post Office and municipal cultural and sports centre, its infrastructure is sufficient to meet the needs of residents and visitors alike. Yet no more than a further 250 metres and you enterRafol de Almunia.The village was created by the local lord, the Marquis de Almunia, in 1535 in an attempt to unite the local peasants against the Moors who then ruled the region. 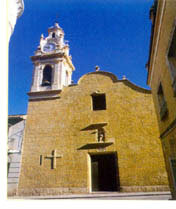 The construction of a church was commissioned and the village is still recognized as the capital of La Rectoria to this day.Ráfol de Almunia is a small village with 369 inhabitants who are mostly involved in growing citrus fruits. Another mile and a half further on you reach Sagra, one of the last bastions of the Moors prior to their expulsion in 1609 and the re-population of the area with farmers from Mallorca. The village to this day still maintains its Moorish architectural influence with narrow streets and alleys at the foot of the Monte Caval, appropriately named as its twin peaks resemble a horse´s ears. At the head of the valley isTormos.The Costera del Moll picnic site offers spectacular views of the sea, with Denia castle on the horizon no more than 10 miles away as the crow flies.The village is located at the foot of the Sierra del Recingle, next to Monte Caval and Migdía Sierras, which means that it is an excellent place for hiking. 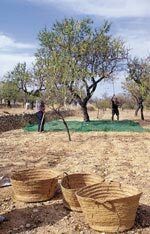 Tormos, the smallest village of the Rectoría area, is mainly devoted to growing fruit. Its inhabitants enjoy a peaceful life: playing dominoes in the streets and watching the cars go by. The cosmopolitan town ofOrbahas been attracting Northern European residents for more than thirty years and this is evident in the variety of different bars and restaurants. All around the town there are natural springs which explains how Orba takes its name from Arabic ´Ur-Obia` meaning "where the water springs from”. The Moorish influence can be noticed in Orba, like Sagra with its narrow streets and white washed architecture. 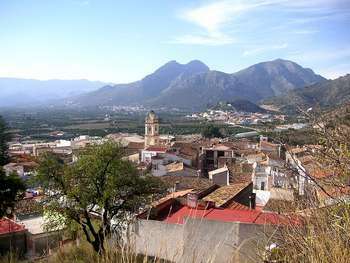 The most inland village of the area, its economy is essentially agricultural with a trend toward citrus fruits, though almonds, carob and olives are also grown. Ceramics are produced and there is also a bag making industry. Travelling back towards the coast and you encounterBenidoleig,anothersmall farming village with 783 inhabitants located at the foot of the Sierra de Seguili. It is a peaceful village with steep windy streets and views of the surrounding vines, almond and olive trees - the main economic activity of the village. The Calaveras (skull) Cave is the attraction of the village. The cave obtained its name from the 12 skulls that were found in its interior when it was discovered in 1768. It was established that these were the skulls of Moors who had died during earlier explorations of the caves. Bronze and Neolithic remains have also been discovered here. A 400 m passage inside the cave ends up at an interior lake.